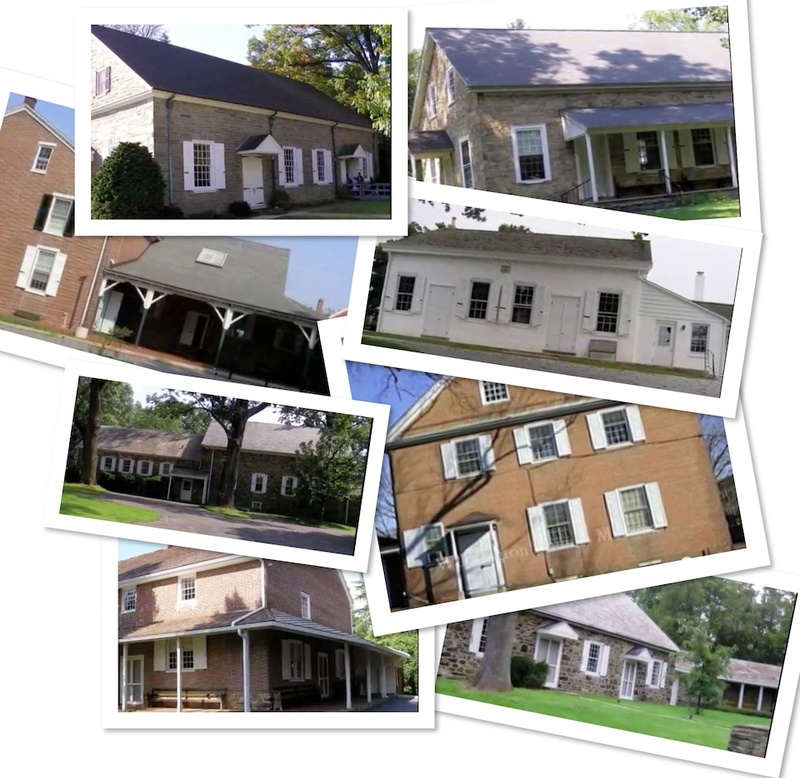 Concord Quarter consists of 8 Quaker Meetings. The meetinghouses are distinctive for their simplicity as Friends (as Quakers also call themselves) eschew fancy ornamentation not only in dress but also in building design. The meetinghouses can be old, as Quakers have been in the United States since the late 1600's, or new as communities have rebuilt. 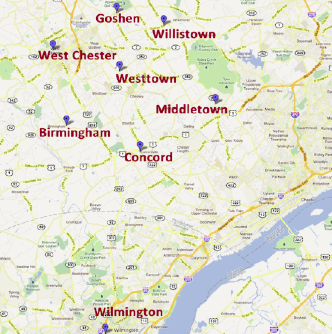 Concord Quarterly Meeting is a regional gathering of Quaker meetings in and around eastern Chester County of southeastern Pennsylvania. The name "Quarterly Meeting" comes from the way Quakers conduct their business. Meetings in a regional area will get together 4 times a year to conduct the management of their affairs which impact the common interests of their religious communities. It is also a time for worship and fellowship that lasts from about 8 AM to 1 PM. It usually includes a program that is relevent for the spiritual life of those gathered. In years past traditional Quakers sought to keep themselves set apart from the temptations of the "outside" world and would have habits of dress and culture that easily represented this, much like Amish folk today. But modern Quakers now look and act like most modern Americans although there are conservative Friends who do adhere to the traditional outlook.